Pennsylvania is known for Whoopie Pies and many say that it's the Whoopie Pie birthplace. If you visit Lancaster County you will find delicious Whoopie Pies being sold in many of the Amish Country gift shops, stores, restaurants, etc. 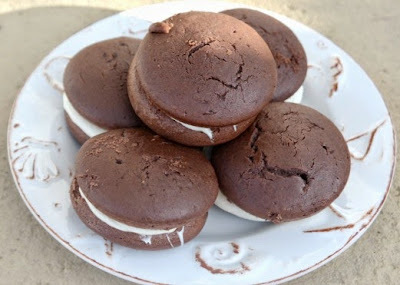 We used to live down in Lancaster in the late 1980's and one of my neighbors gave me her chocolate whoopie pies recipe. Today...I am sharing that recipe with all of you. 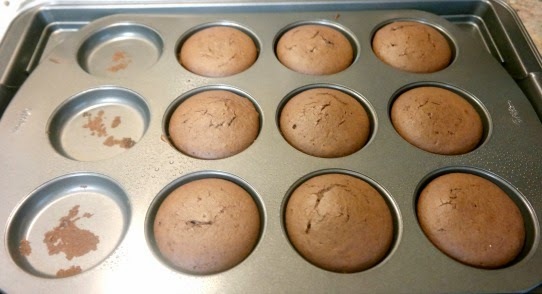 Preheat oven to 350 degrees F. Light spray a whoopie pie baking pan with non-stick cooking spray. Set aside. In a large mixing bowl beat together the softened butter with the brown sugar until creamy. Add in the egg and vanilla extract. Beat again until smooth. Set aside. In another large mixing bowl sift together the all-purpose flour, cocoa powder, baking powder, baking soda and salt. Beat half of the dry ingredients into the first bowl until combined. Pour the remaining dry ingredients and the buttermilk into the first bowl and beat with an electric mixer until well combined. Fill each cavity of the Whoopie Pie baking pan 2/3 of the way full. Use a spoon to level off the batter in each cavity. Place baking pan into the oven and bake for 8-10 minutes or until they are done. 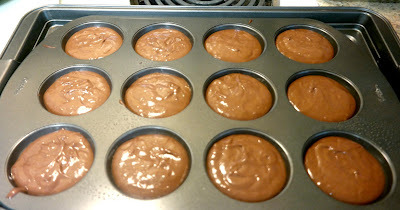 Remove and let them completely cool before adding the filling. In a large mixing bowl beat the butter until creamy. Add in the confectioner's sugar and salt, beat again. Beat in the marshmallow creme and vanilla extract. Keep beating the mixture until it gets more firm and thicker. It should be light, fluffy and spreadable. If needed, you can refrigerate it for an hour or two to get it to thicken up. Spread the filling in between two of the cake halves. We add about 1 1/2 tablespoons of filling per whoopie pie. Once you have them filled and assembled, store them in an airtight container. 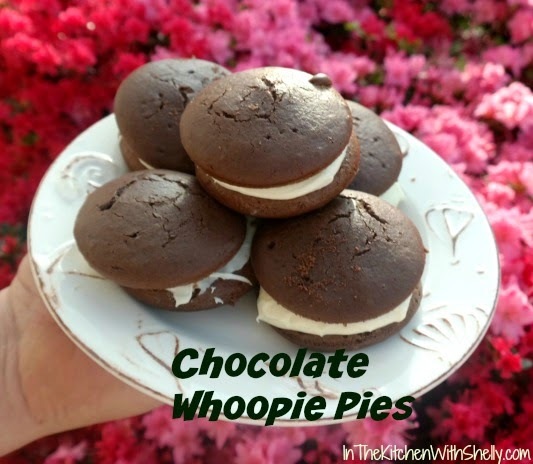 I've never made whoopie pies and, really, I'm trying to watch the sweets. This recipe, though, I'd love to watch disappear in my mouth. Looks so good! Appreciate the pictures! One never realizes how ,I have better a recipe tastes than the store bought item until it is homemade. This is a wonderful recipe, and I Amy try it even though I don't have the correct baking pans.